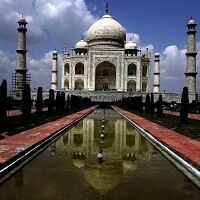 A travel firm has unveiled the details of an exciting holiday package involving two different regions of India. Inntravel's offer involves the desert state of Rajasthan in northern India, as well as Karnataka and the scenic Kerala in the deep south of the country. The eight-night sojourn starts in New Delhi, from where travellers will take an overnight train to Jodhpur in Rajasthan before heading on to the desert village of Hacra. Holidaymakers have an opportunity to stay in thatched roundhouses of peasant farmers belonging to the Rajput community in Rajasthan. Other options include riding a camel into the dunes to look for chinkara gazelles and wolves, visiting local craftsmen, shoemakers and weavers, and taking a day trip to the town of Osiyan. Travelling to south India, travellers will enjoy the charm of places like Mysore, Ooty and the serene backwater network of Kerala. Given the possibility of abrupt climate transitions in India, visitors may wish to buy a comprehensive travel insurance policy before embarking on their journey.